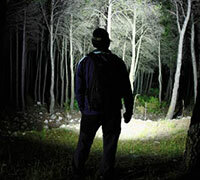 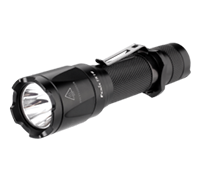 The Fenix E20 is designed to be a reliable entry level LED flashlight for Fenix. 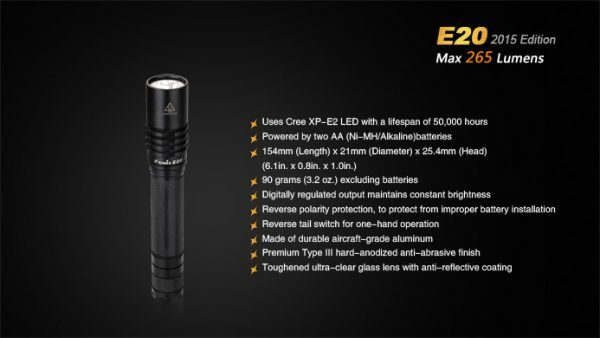 This flashlight’s compact size, easy to use operation, and easy to find AA battery power delivers 265 lumens at its turbo mode along with three other brightness levels controlled by a rear all-function switch. 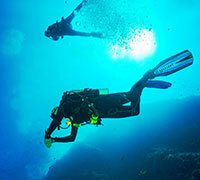 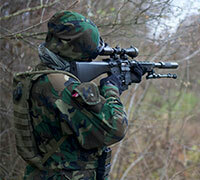 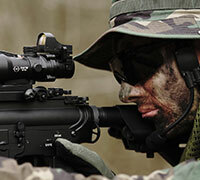 You get all of this for an affordable price and a maintained lifetime guarantee. 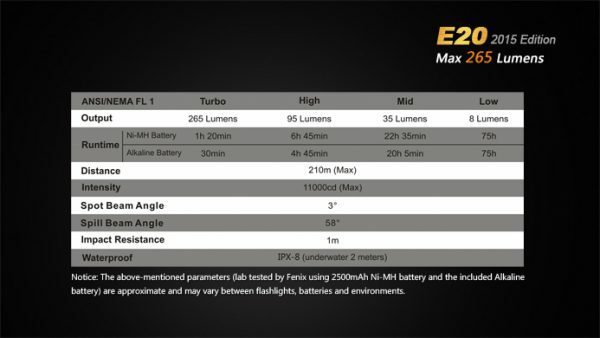 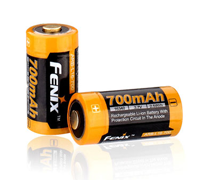 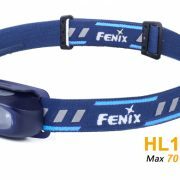 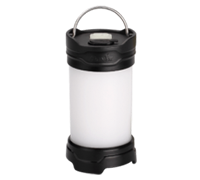 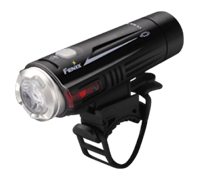 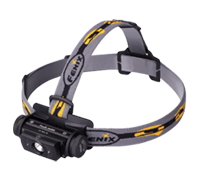 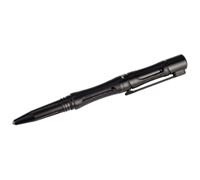 Fenix E20 2015 is a convenient and practical flashlight features user-friendly interface. 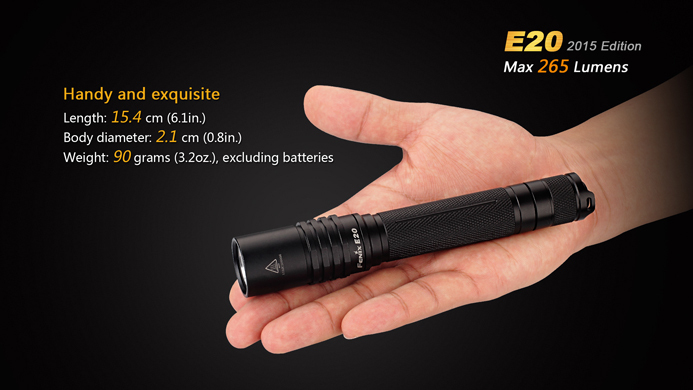 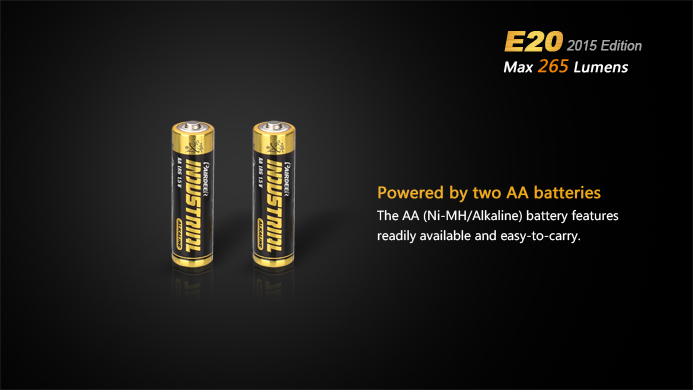 With two easy-to-get AA batteries, it delivers maximum output of 265 lumens and far-reaching throwing distance of 210 meters. 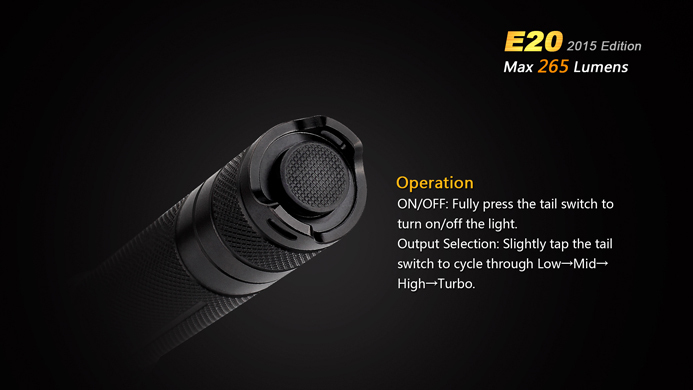 Reverse tail switch, for one-hand operation, realizes four brightness levels selection. 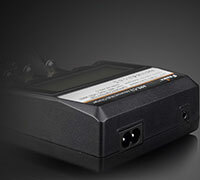 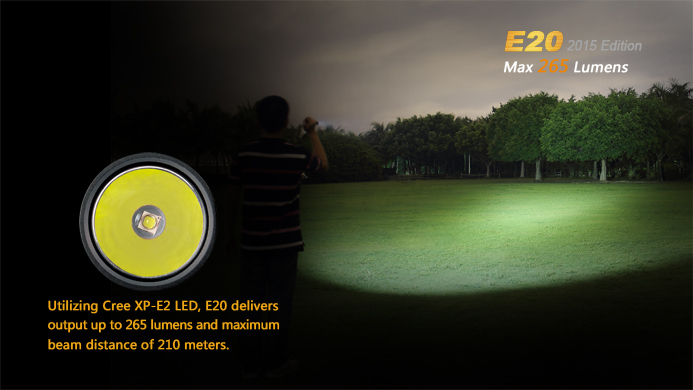 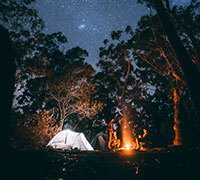 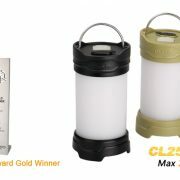 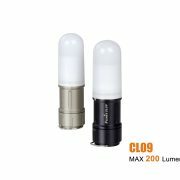 E20 is believed to be the excellent choice when cope with outdoor lighting and spare home lighting. 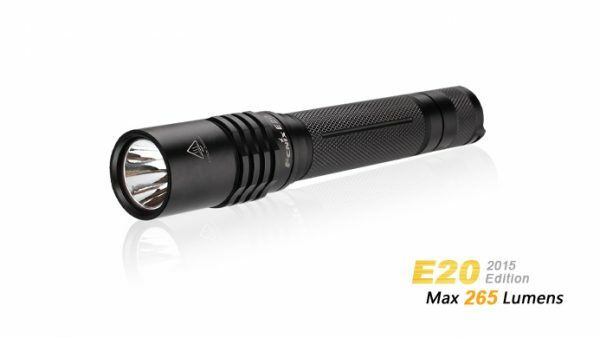 Fenix E20 Flashlight,Spare O-ring, Lanyard, 2 AA batteries. Fully press the tail switch to turn on/off the light. 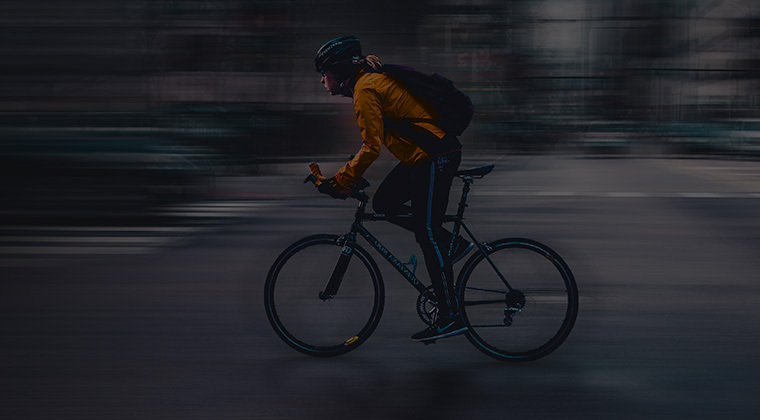 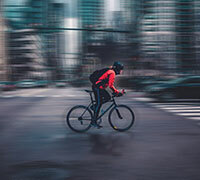 When the light is on, slightly tap the tail switch to cycle through Low→Mid→High→Turbo. 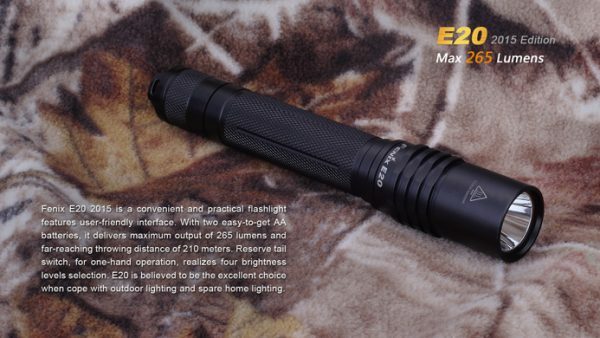 Note: The flashlight memorizes the last used brightness level, turn it on in 1 second after shutdown, it will recall that previously brightness level.